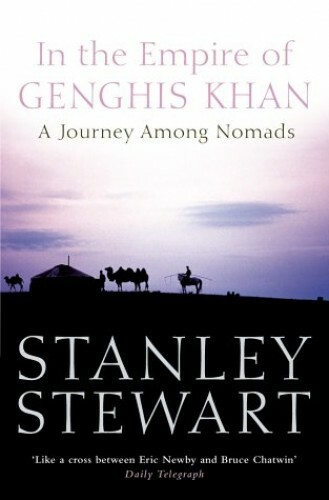 As a child, award-winning travel writer Stanley Stewart dreamed of crossing Mongolia on horseback. This is the story of how that dream was fulfilled by following in the footsteps of a 13th-century Franciscan friar. As a child, award-winning travel writer Stanley Stewart dreamed of crossing Mongolia on horseback. This is the story of how that dream was fulfilled by following in the footsteps of a 13th-century Franciscan friar. Eight centuries ago the Mongols burst forth from Central Asia in a series of spectacular conquests that took them from the Danube to the Yellow Sea. Their empire was seen as the final triumph of the nomadic `barbarians'. But in time the Mongols sank back into the obscurity from which they had emerged, almost without trace. Remote and outlandish, Outer Mongolia became a metaphor for exile, a lost domain of tents and horsemen, little changed since the days of Genghis Khan. In this remarkable book, Stanley Stewart sets off in the wake of an obscure 13th century Franciscan friar on a pilgimage across the old empire, from Istanbul to the distant homeland of the Mongol Hordes. The heart of his odyssey is a thousand-mile ride on horseback, among nomads for whom travel is a way of life, through a trackless land governed by winds and patterns of migration. On a journey full of bizarre characters and unexpected encounters, he crosses the desert and mountains of Central Asia, battles through the High Altay and the fringes of the Gobi, to the wind-swept grasslands of the steppes and the birthplace of Genghis Khan. Vivid, hilarious, and compelling, this eagerly-awaited book will take its place among travel classics - a thrilling tale of adventure, a comic masterpiece, an evocative portrait of a medieval land marooned in the modern world.